Aeon Double Arm Bracket Large Slim. 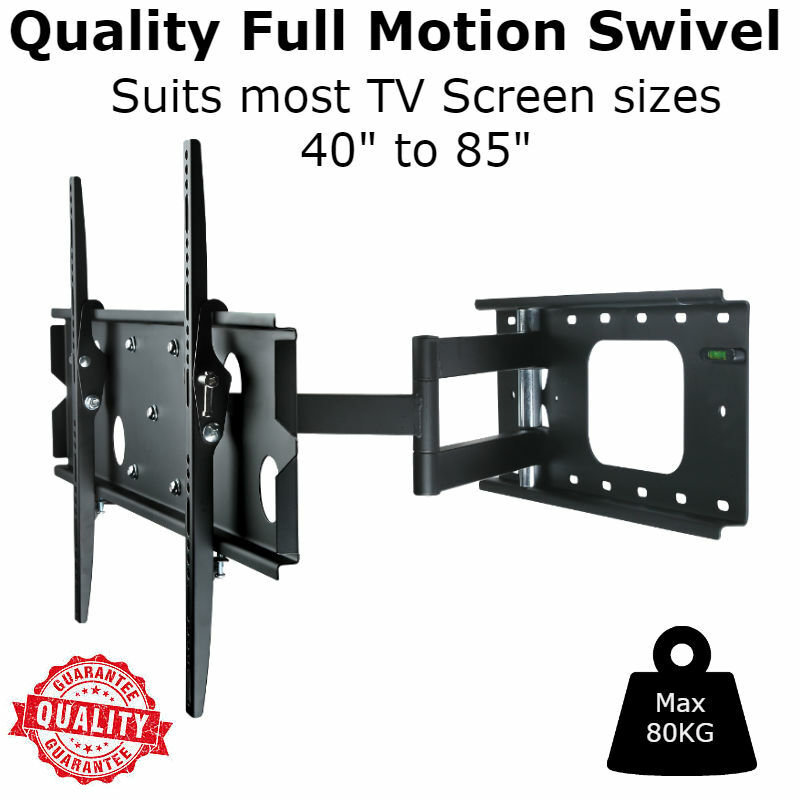 Suitable for 40″-85″ televisions. Integrated level for correct mounting. Vertical max: 455mm, Horizontal max: 718mm. Low Profile- 73mm from the wall. Extends to 623 mm from the wall. Spans 630mm wide at a wall to allow mounting to two studs. Swivel -45 degrees ~ +45 degrees. Tilt 0 degrees – 12 degrees. Max Screen Weight: 80KG. Safety locking screws for added security. Spans 630mm wide at the wall to allow mounting to two studs. Safety locking screws for added security.